Perhaps the two greatest benefits to unlocking your iPhone permanently are the ability to use it with any carrier of your choosing (and thus avoid the obligation of long-term contracts), and the opportunity to use the phone abroad with a local SIM card. As with its predecessors, the iPhone 7 has been highly anticipated, and with that excitement inevitably comes the question of how to unlock your new phone in order to use it as you please. Fortunately, you CAN unlock iPhone 7 and we’re going to tell you how to do it, step-by-step. The first thing you’ll need to do is locate the phone’s IMEI number, which can either be found in device settings or simply by dialing *#06#. The IMEI is also usually printed on the box, but to ensure accuracy, it is best to work with information that comes directly from the phone itself. If you did not purchase your iPhone 7 brand-new or from a trusted retailer, you’ll want to make sure that the IMEI has not been blacklisted. IMEIs are often blacklisted when phones are reported as stolen, lost, badly damaged, or if they are associated with a delinquent service account. A quick web search will offer easy ways for you to check if your phone’s IMEI has been blacklisted. Once you’re all clear to proceed with the unlocking process, it’s time to give it a try. The iPhone 7 (as any Apple devices in general) does not use a special code or a predetermined unlocking sequence; instead, it is remotely unlocked on Apple servers. This means that your phone will still be unlocked even if you later update the system or if you have to do a factory reset. Turn the phone on and make sure Wi-Fi is enabled. Follow any on-screen instructions. You may see that an update has been downloaded. That’s it! Your iPhone 7 should be ready for use on any network. Start the iTunes application on your computer. A quick update will download. 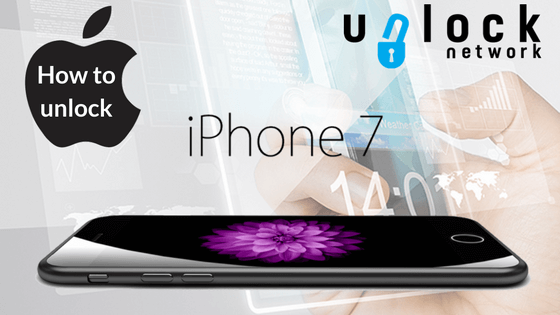 Your iPhone 7 should now be unlocked. If you’re still having trouble unlocking your iPhone 7 after attempting both of these methods, double-check that your phone’s IMEI is not blacklisted. You can call your current service provider to confirm this information if you’re unable to find the details online. If your phone is not yet paid for in-full, or if your account balance is past-due, your provider may have a restriction placed on your IMEI. If your device is clean, then make sure it has been activated with the original carrier SIM card, the best is to try an outgoing call to register the device on the Network and thus sending a signal that the handset is activated. Once your iPhone 7 is unlocked, you now have the freedom to use it while traveling abroad without fear of excessive roaming charges. Or, simply use it with a different carrier who may provide better value for your service needs. Enjoy your unlocked iPhone 7!